No other copier supplier refurbishes photocopiers quite like Kent Refurbished Copiers. 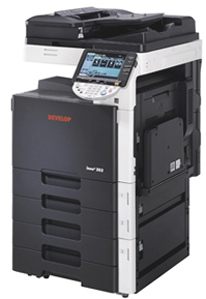 We only source low mileage copiers and ahere to the highest standards of quality control. When your reconditioned photocopier is delivered, installed and fully networked for free by our trained technicians, you will find it difficult to distinguish the machine from a brand new one, such is the thorough nature of our refurbishing process. Our photocopiers are refurbished to "as new" condition and you will certainly not be disappointed. We supply to businesses in the Kent area, with field technicians in your area every day. Our response time is one of the best in the area, and you will usually be dealt with within 4 working hours. Our technicians carry a wealth of spare parts to enable a first time fix in the majority of situations. We have many models in stock and ready for sale, and can usually accommodate various bespoke configurations, such as extra paper trays, large capacity trays, fax kit options and even various finishing options. For more information on our range of refurbished copiers visit our products page, or speak to a representative on 01795 532024.